Situated in Wembley, this warm and friendly centre offers professional workspace and boasts a wealth of amenities. Tenants will be welcomed into the centre by its fantastic administrative staff, who will be on hand to deal with any queries you may have. The centre's family feel will enable you to feel at home from the off and with its excellent location you will be able to take advantage of fantastic transport links and close proximity to attractions such as the iconic Wembley Stadium. Well maintained serviced offices in Wembley within this large, modern commercial centre benefiting from onsite car parking, gym and meeting spaces. 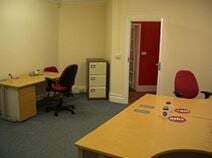 These high specification offices, with feature windows and floral window boxes, are overseen by an approachable and professional team who will ensure you have all you need to run your business. Just 10 minutes from Wembley Stadium and located on a secure estate just behind the North Circular (A40 & A406 Hanger Lane), central London is just a 20-minute drive away. The space has brand new, modern and flexible offices available, ideal for startups. The property is accessible 24-hours a day and has a security system for peace of mind. 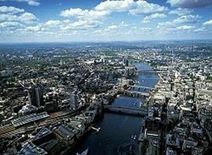 There are Underground Stations nearby, providing access to the Piccadilly and the Bakerloo Lines. This attractive modern building benefits not only from a fantastic sought after location, but also award-winning customer service. The property is situated less than a five-minute walk from Wembley Park Station, offering fantastic access into the City on both the Jubilee and Metropolitan lines. Tenants have access to the building 24-hours a day, meeting room facilities, reception services, on-site parking and many more great amenities. Fully refurbished 1960s commercial building centre that houses contemporary and comfortable office space. An extensive range of amenities are on offer, including professional reception support, 24 hour access, superior Internet speeds and access to well appointed meeting rooms. Allowing tenants to adapt the space to their own requirements, this property is comprised partly of office space and partly of warehouse areas. It is ideal for small and medium companies and benefits from a kitchen and car parking. Public transport is close by.